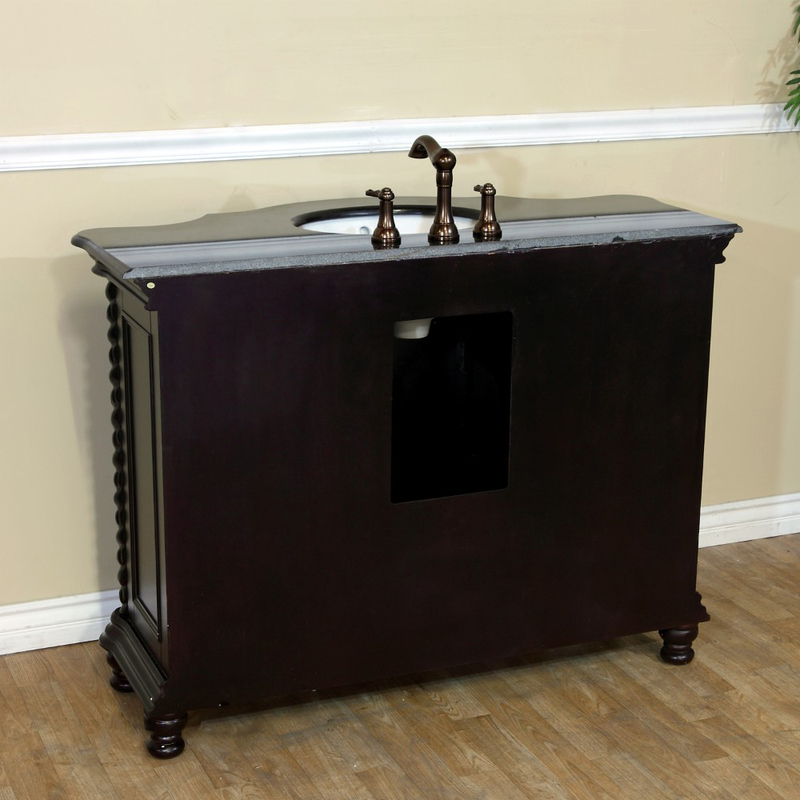 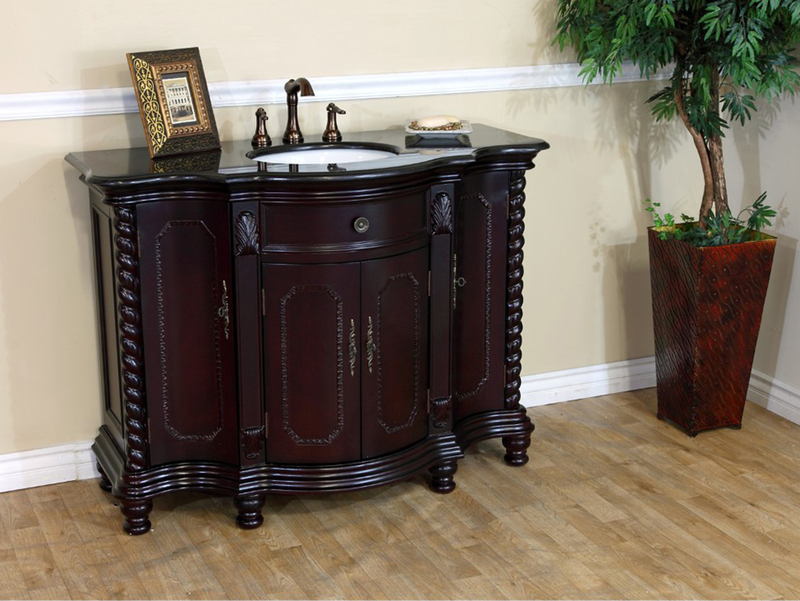 The Whinfell Single Vanity has a wonderfully dark mahogany finish and comes with your choice of either Black Galaxy or Creama Marfil counter top. 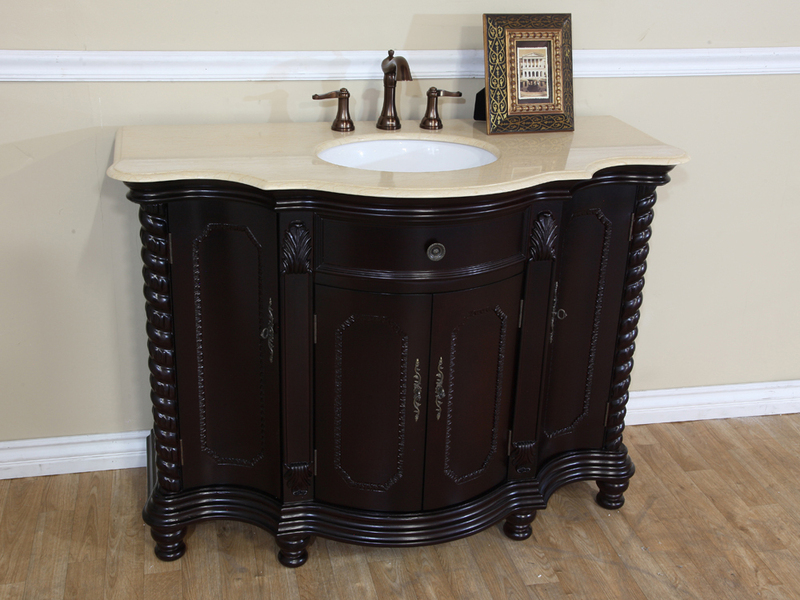 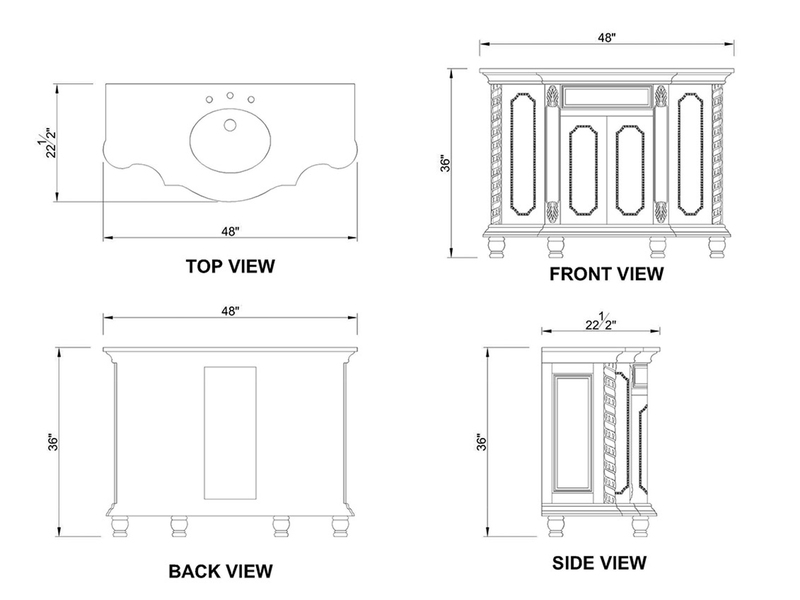 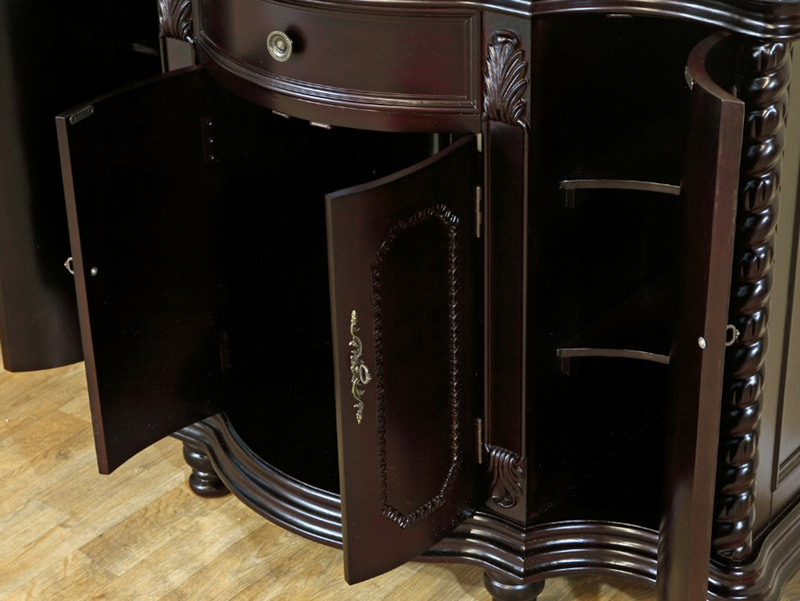 The antique look of this vanity is achieved by its beveled trims, rounded cabinets and detailed panels. 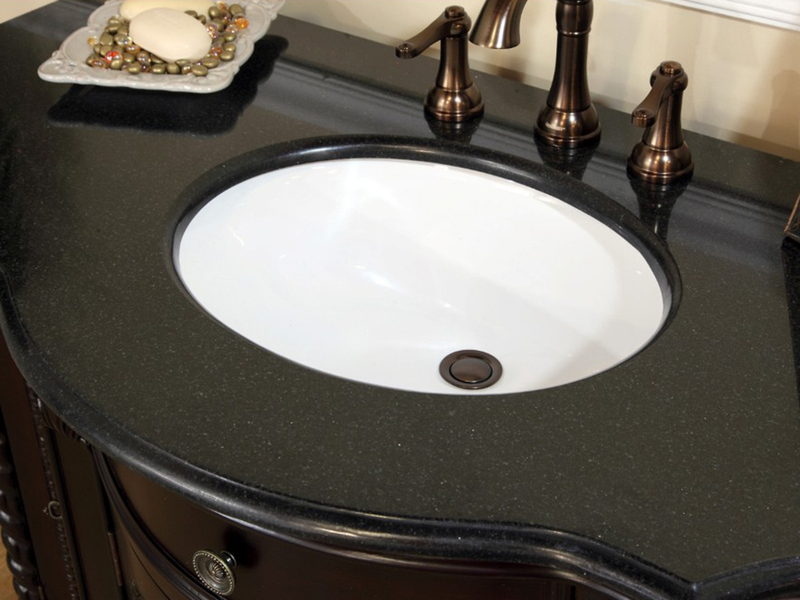 Its water proof finish provides protection against bathroom humidity, preserving the look and shape of the vanity. 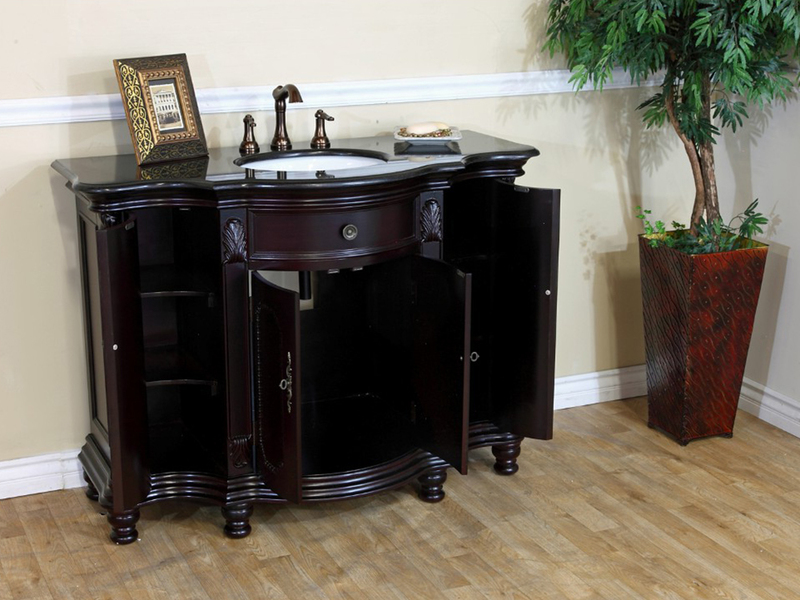 With three storage spaces, two of which have interior shelves, this vanity provides lots of storage options for your bathroom supplies. 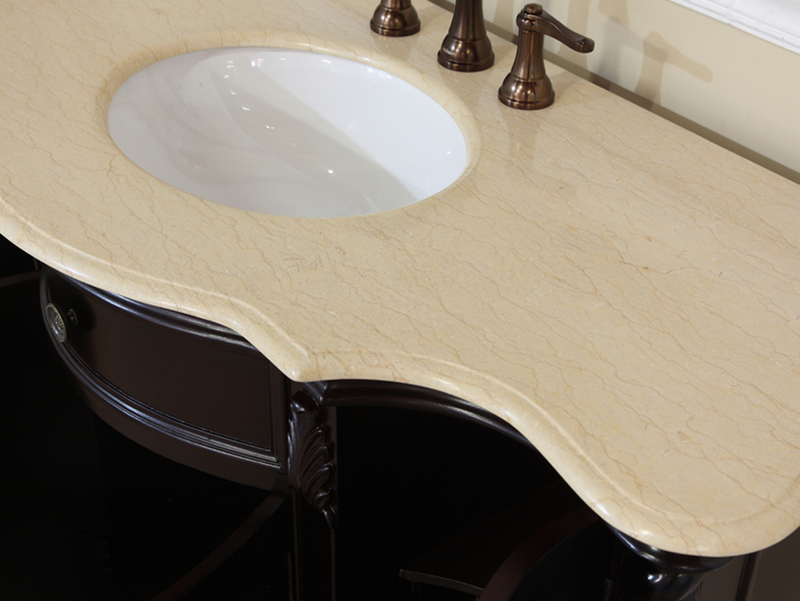 An optional matching backsplash is also available through the drop down menu. 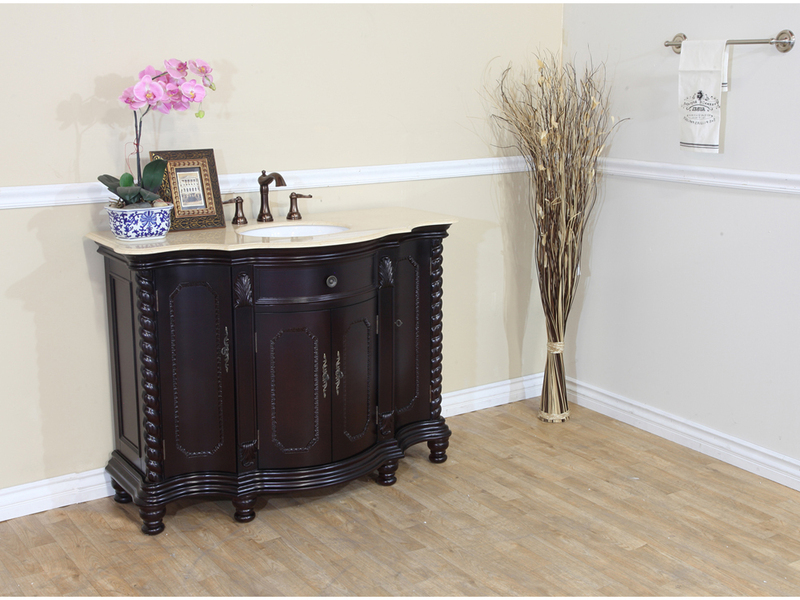 This vanity is a great blend of functionality, quality and antique beauty.